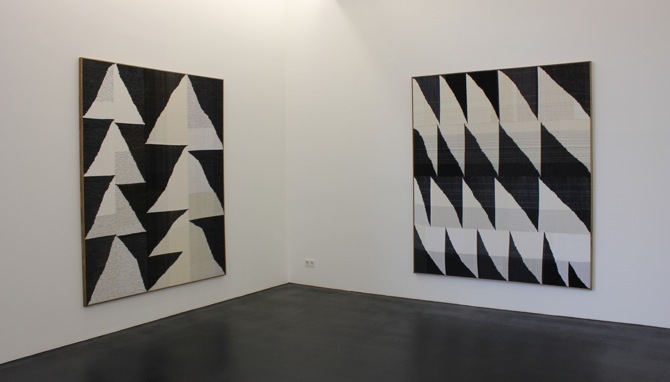 The exhibition space of Peres Projects at Karl-Marx-Allee is currently filled with large abstract works by the 1979-born artist Brent Wadden. 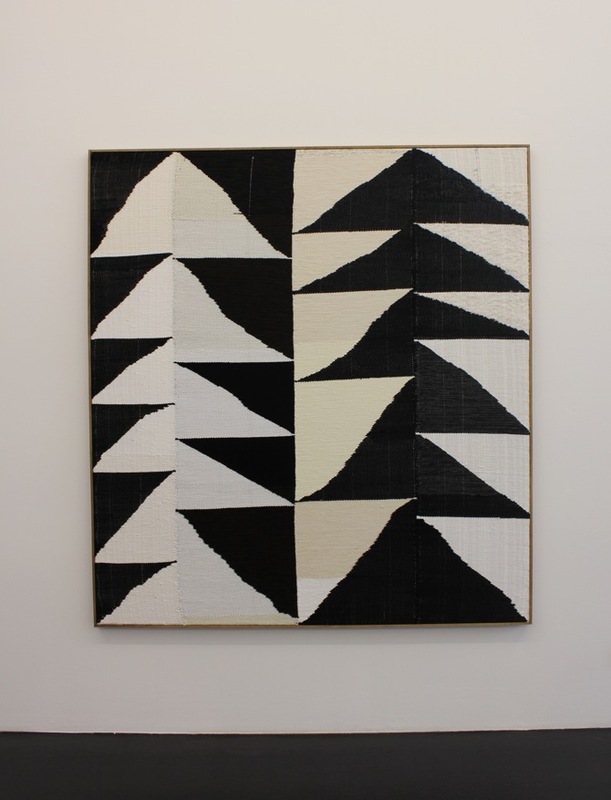 Although based on a weaving and sewing technique, Wadden says in an interview with Bario Neal , that it would be hard to see his newest works as anything else than paintings. 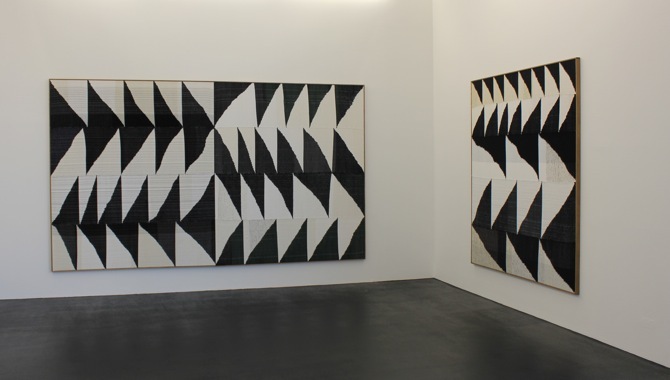 It makes sense: The artist has a painting background and before he started the usage of textiles and fabrics, he pursued the exploration of geometric alignments mostly with paint. 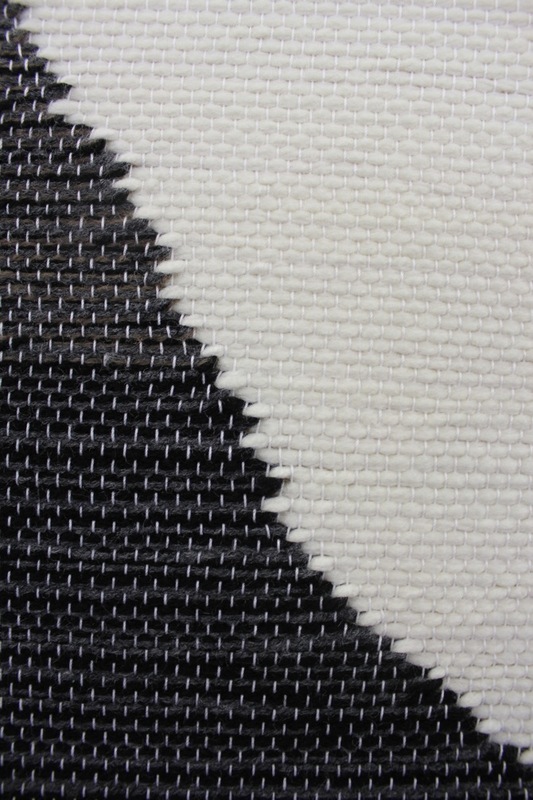 The shapes of his older and newer works clearly relate to each other, even though the weaving works use less (almost no) other colours than black and white tones. 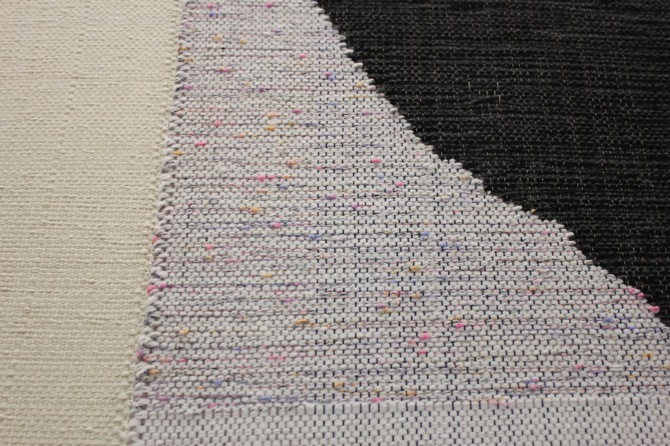 While his yarn – or let's say, his palette – suggests a cold atmosphere, the soft material gives his large weaving works a warm and, somewhat homely touch. 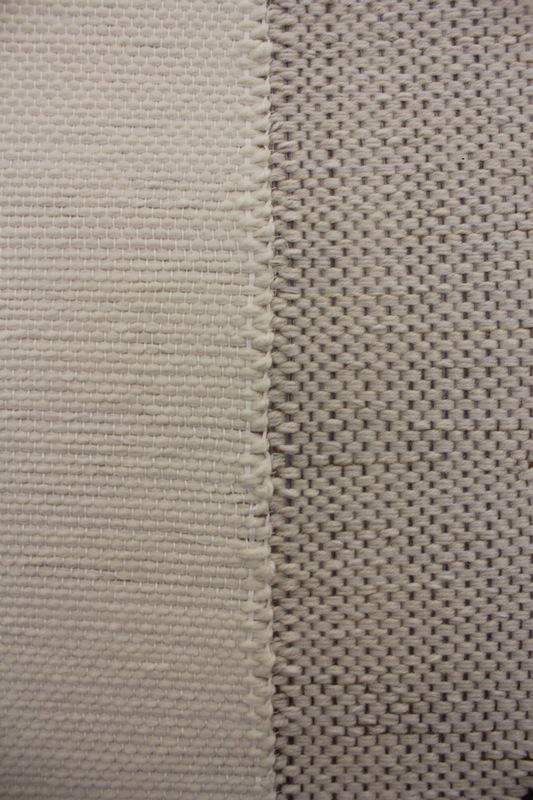 However, Wadden's weaving-strategy is not only an aesthetic one towards a clean and abstract minimalism: He is interested in both, the process of handcraft's slow and hard labour in order to achieve a result, as well as the re-usage of second hand material. 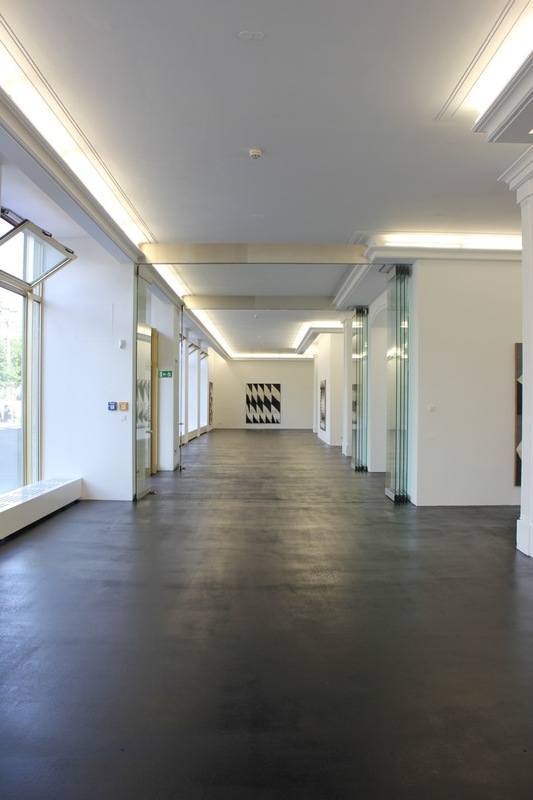 Bought on exchange platforms and online auctions, Wadden sees a challenge in giving the abandoned left-overs a new form of existence. The values of sustainability and patience overshadow the perception of a single final work as the artist's ingenious masterpiece. 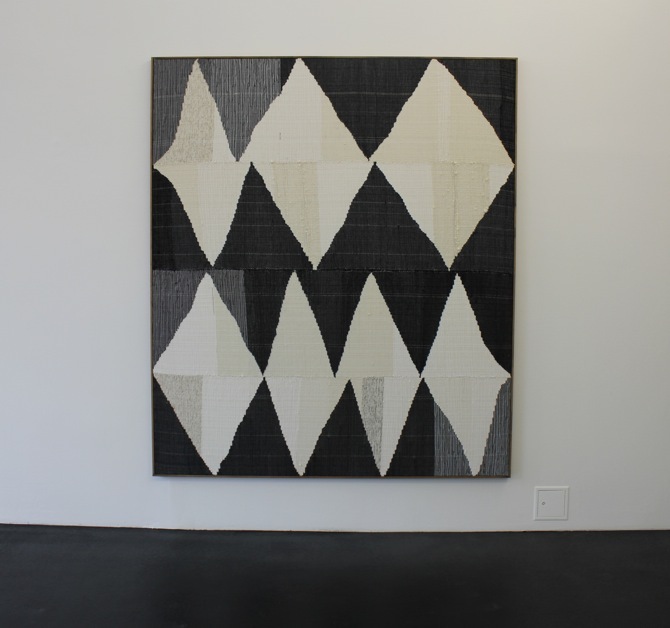 Also, Wadden works in series: His "Alignment" series seems to be a never-ending work in progress – a search for an adjusted symmetry, for the perfect composition of horizontal and vertical triangles. 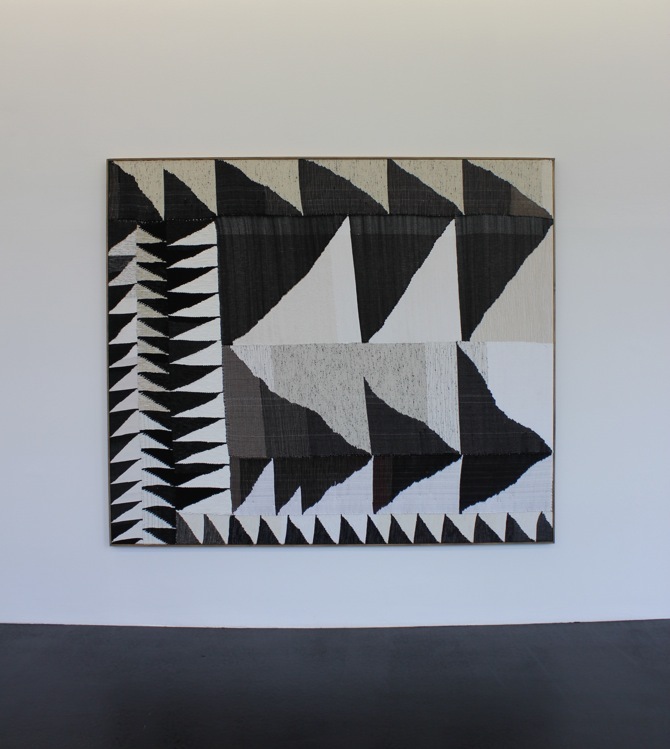 While each piece consists of several hand-woven pieces that are sewed together and subsequently stretched on a canvas, Wadden's inspiration for this special collage technique comes from the traditional production of quilts. His emotional attachment to the patchwork blankets might come from his youth in Glace Bay, a small town in Canada, where he grew up. Since 8 years Wadden lives in Berlin – now transforming coziness and handmade products into an abstract geometric form of art, that started its tradition during the Bauhaus time. 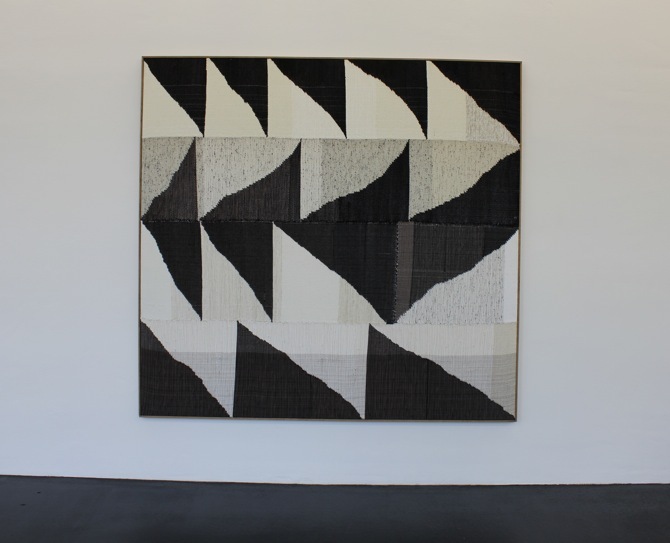 While back then Anni Albers was famous for her weaving works, as she was one of the first to declare them as works of art and not only of handcraft, the labour and perhaps the house-wife-reputation involved in the process has scared artists away from working with it. 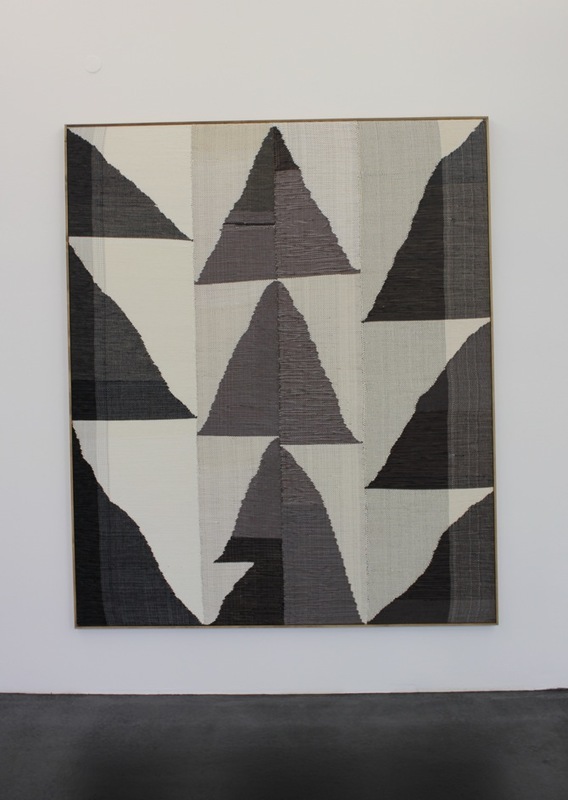 For Brent Wadden this doesn't seem to be a problem, rather the opposite: His next project is to dye is own yarn.